What is Motor Vehicle Insurance? Motor Vehicle Insurance can be a comprehensive policy against damage and loss to your vehicles. What does Motor Vehicle Insurance cover? You can insure your daily drive, farm trucks, trailers, utes and tankers. 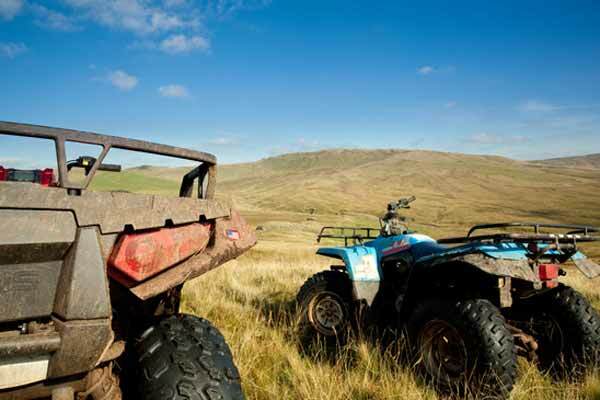 You can also insure your non road registered vehicles, such as your tractors, trailers, farm bikes, ATV’s and UTV’s. Your son is transferring some square hay bales from one stock yard to another on your property, driving across some long grass your son accidentally strikes with a rock, causing the ATV to roll and sustain damage. Thankfully he escaped unscathed however the ATV is a little worse for wear. Even though the accident occurred on your property with an unregistered vehicle, you have had this vehicle included on your motor vehicle policy because it’s an expensive and integral asset to your farm. In this instance, your motor vehicle insurance policy will cover the cost of repair or replacement for your ATV.